Last Saturday was a big day for the little guys. A very big day. 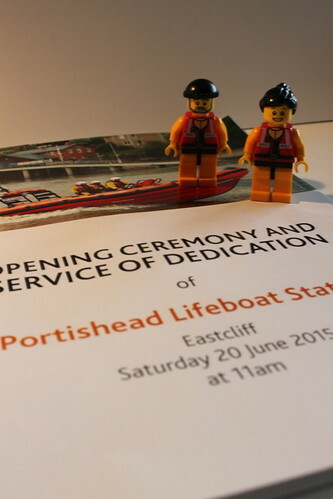 Because after years of negotiations, over twelve months of construction and weeks of planning, it was time for the formal opening ceremony of the new RNLI Portishead lifeboat station. And with this being the Crew’s home station, they could not have been more excited. 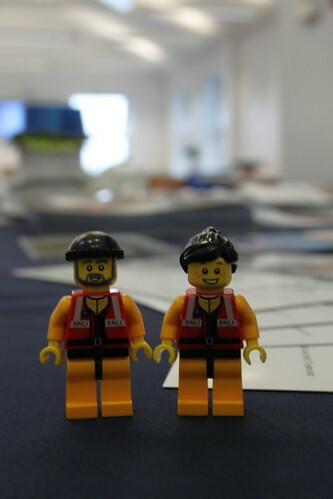 Up in the crew room, the little guys said hello to the other volunteers, who were now starting to arrive in considerable number. 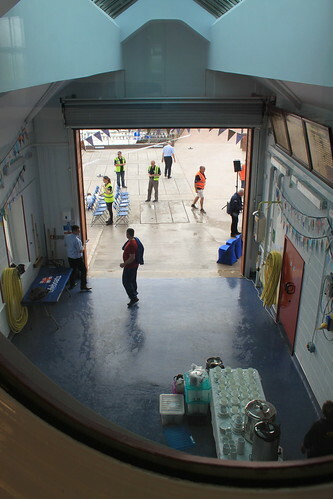 In addition to the boat and shore crews, station personnel and fundraisers, there was also a sizeable contingent from RNLI headquarters and from the regional base. Which was good, because there was an awful lot to do before the ceremony got started at 11 o’clock. 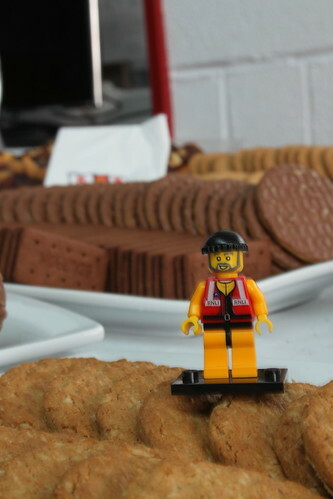 As you’d expect from the lifeboat service, a plan was quickly developed and tasks were allocated. 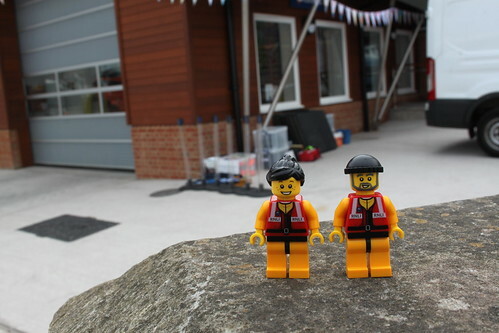 The little guys helped to set up some of the tall ‘feather flags’ and then got to work putting up bunting all around the boathouse. Much of it was the result of the bunting design competition organised by the station’s press officer, which the little guys had helped to judge. The bunting looked absolutely outstanding. 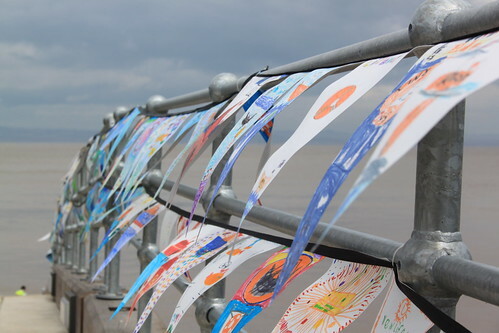 And that fact that it had been designed and created by local schoolchildren (and a few adults!) made it even more special. 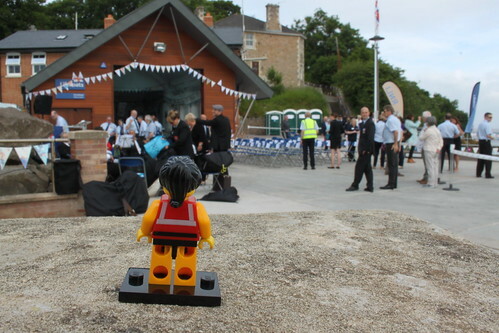 Back in the boathouse, tea and coffee were being organised for after the ceremony. With around 400 invited guests expected, along with an indeterminate number of local people, it was important to look after them properly. As the time of the ceremony approached, and with the set-up complete, the order was given to stop what we were doing and to change into ‘smart’ clothes. For the crew and volunteers, this was an opportunity to don our smart new shirts and ties, which had only arrived a couple of days previously. 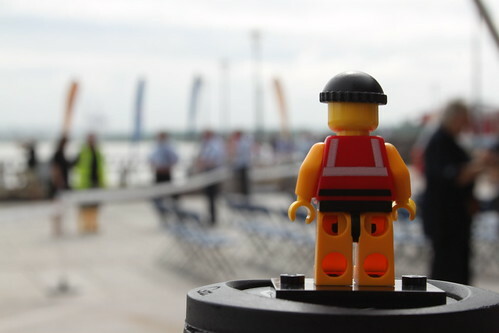 This entry was posted in Out and about and tagged Portishead, RNLI, The Lifeboat Crew by Simon Perks. Bookmark the permalink.